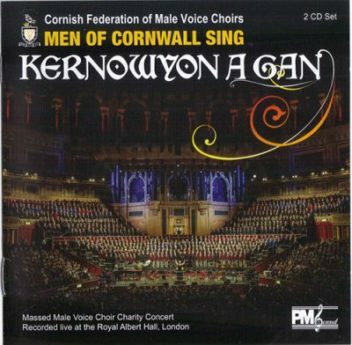 The Cornish Federation of Male Voice Choirs. Massed Male Voice Choir Charity Concert.Recorded at the Royal Albert Hall, London on Saturday 2nd November 2013. Capture the atmosphere of an audience of over 4000, joined with the 600 strong Male Voice Choir, 70 strong Youth Orchestra and boys choir of 120! Sit back and enjoy this double CD.You could almost have been there!